Grab your sunscreen, pack a towel, and get ready for summer! Going to the beach can be awesome for a day of relaxing in the sun, playing in the water, and heading home a little sandy and tan. 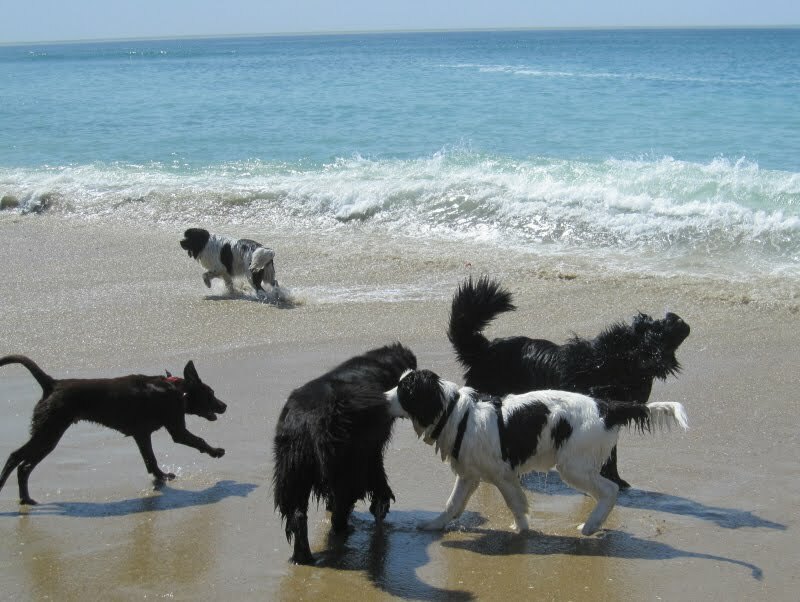 Your favorite friend may also enjoy playing and romping around in the sand and surf. If so, make sure the beach is dog-friendly and observe the rules ane regulations that apply. Dog Beach – Key West, Florida – There are a few beaches in Key West, this one is for the dogs… after running around and playing, head over to one of the many dog-friendly cafes to get a drink and sit in the shade. The beach is great for off-leash fun but it is a little rocky. This is a public beach and free. It’s not huge but it’s definitely perfect for a pack of dogs to make friends, run in the sand, and splash in the water. Montrose Dog Beach – Chicago, Illinois – This is the first legal off-leash dog beach in Chicago and is located off Montrose Beach. The beach is free but all dogs must have a DFA tag which is $5. Also, there are rules for dogs such as no food, no prong or pinch collars, and you must clean up after your dog. Cannon Beach – Cannon Beach, Oregon – Cannon Beach is recognized by its landmark, Haystack Rock, located to the southwest of downtown Cannon Beach, near Tolovana Park. Dogs are allowed on the beach either one leash or under voice control, meaning, your dog is well-trained and will come when called even with all the awesomeness and fun surrounding you both. Bring bags to clean up after your pet and get ready for a fun day of playing. It does get chilly on the coast so keep an eye on your dog and make sure s/he’s not too cold after playing in the water. Huntington Beach – Huntington Beach, California – this beach is about 3 miles long and far enough away from the roads that you can let your dog roam without worry. It’s got some rocky parts but mostly it’s a great space for your pup to run and splash. If your dog is not great with recall, this is a great spot to work on that with a long lead. It’s spacious enough that you won’t be crowded in. Parking can be a pain so get there early! Del Mar Dog Beach – San Diego, California – This beach has been dog friendly since 1959 and 9 months of the year dogs are allowed to run, stomp, and play on the sand. The beach is about 2 miles long and near two parks. The most popular spot is North Beach area for dogs and their humans. Don’t forget to bring bags to clean up after your pup and a frisbee! Did we miss a few? Let us know!